During the last fiscal year, the endowment saw its first negative return in seven years, declining 1.4 percent—this year’s returns demonstrate an improvement in performance and significant asset growth. 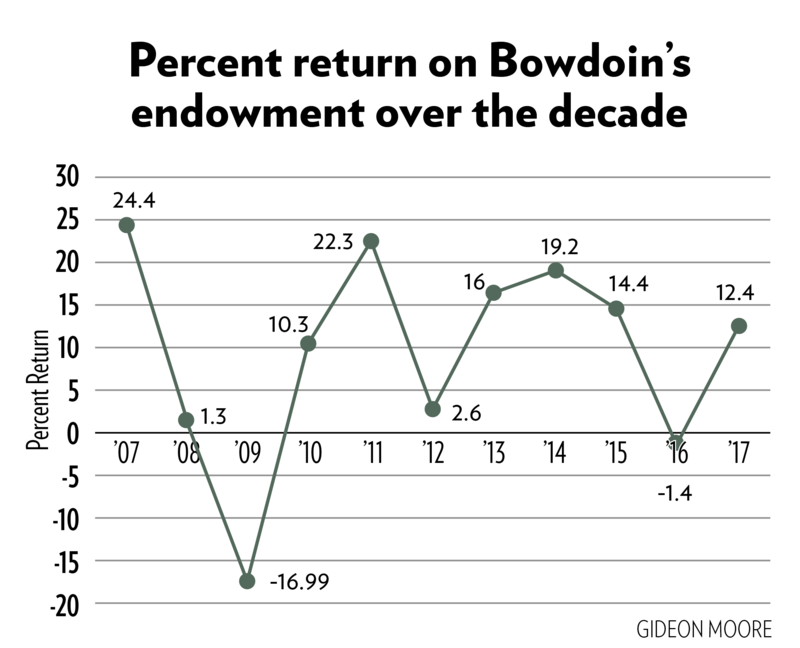 According to Cambridge Associates, a firm that oversees and tracks endowments across the nation, the average return seen by American colleges and universities during FY 2017 was 13 percent, putting Bowdoin’s performance this year slightly below that of its peers. Paula Volent, senior vice president for investments, attributes this year’s growth to a variety of factors, including distinct changes in global market conditions since last year. “The strong absolute return for the endowment in fiscal 2017 was the result of a combination of good manager selection in choosing external investment managers as well as ebullient global equity markets related to historically low interest rates and the continuing impact of global central bank easing,” wrote Volent in an email to the Orient. Volent said that global equity performance this year proved particularly successful for the College’s portfolio. During FY 2016, the median return for all college and university endowments was -2.9 percent, a number that demonstrated the widespread impact of volatile global markets and corresponded to overall market performance that year. “Fiscal 2016 was a period of uncertainty, including the US elections, Brexit and expectations of increasing interest rates,” wrote Volent. 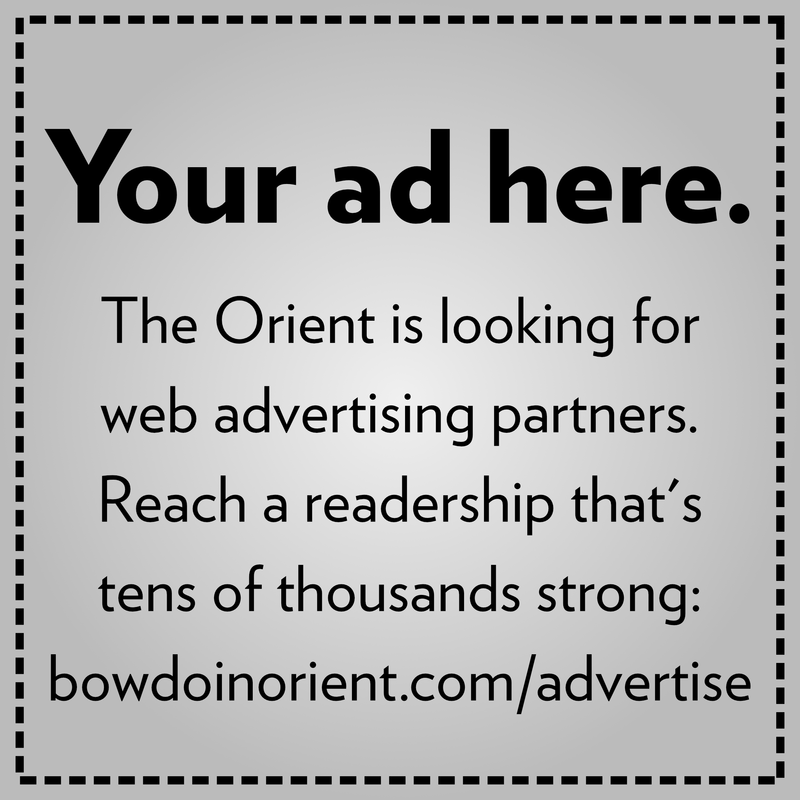 Despite the endowment’s 1.4 percent drop, still the College performed well and Bowdoin remained in the top quartile of its peer institutions. Volent said that the asset allocation of the endowment portfolio has remained relatively stable and consistent despite the volatility of the last fiscal year. Artificial intelligence, machine learning, and genomics are areas of investment that Volent and her team continue to see as areas of opportunity for the portfolio. The endowment portfolio consists of more than 1700 individual funds that are earmarked for the continued support of various College financial needs, and is diversified across many asset classes including domestic and international equities, fixed income, real estate, among others. In a release sent to the Orient today, President Clayton Rose commended Volent and her team for their outstanding management. Let’s do all we can to make sure none of the future return is taxed away by current tax change proposals.